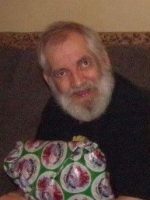 Robert J. Ledrich Sr., 66, of New Philadelphia, passed away in his home, Sunday, February 10, 2019 while under the care of Community Hospice following a period of declining health. Born in Dover, he was the son of the late Alvin and Betty Medley Ledrich and had retired from Hendrickson Suspension in Canton where he worked as a welder. He is survived by his wife, Jane Grasselli Ledrich, whom he married October 16, 1974; a son, Rob Ledrich of New Philadelphia; two daughters, Heather Barrick of New Philadelphia and Samantha Guilliams of Coshocton; his favorite granddaughter, Sydney Barrick of New Philadelphia; two sisters, Holly Shonk of Dover and Sheila McCue of New Philadelphia; and a brother, John (Margaret) Ledrich of Massillon. In addition to his parents, two brothers, Barry Ledrich and Tim Ledrich and two brothers-in-law, Joe Shonk and Sam McCue also precede him in death. In keeping with his wishes, Robert is to be cremated through the care of Geib’s Tuscarawas Valley Crematory and no services will be scheduled. The family requests that memorial contributions be made to Community Hospice Truman House, 716 Commercial Avenue SW, New Philadelphia, OH 44663.